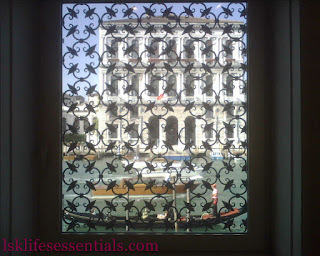 A small boutique hotel in the best area of Venice: Dorsoduro. Next door to the Peggy Guggenheim Collection. Who says you cannot eat well in Venice: fresh food, freshly cooked, reasonable prices! Very popular with New Yorkers, not sure why. Wonderful Scapa riding-themed clothes and accessories. Worth a visit even just to look at the shop. Clothes and accessories in beautifully soft crashed velvet, Fortuny style. The lightest glasses in the world! They have an amazing collection of great shapes for these incredibly light glasses which weigh less than 1 gram! All made in Venice, bespoke for each individual customer. More info in my next posts.